What is the starting point and arriving? You can travel from Melbourne or Sydney to Cairns. Personnaly I started fromSydney. You can make your trip also in the opposite direction, from Cairns to Sydney or Melbourne. How long the trip should take ? Count between 3 and 4 weeks. It is of course possible to travel on the East Coast for a shorter time, depending on what you want to see and your budget. How much money should I spend for this trip ? Count a budget of $ 2500 and $3000 for your accomodations in hostels and activities (it takes an average of $ 30 per night per person in a hostel on the entire east coast). The prices of the different activities will be mentioned progressively in this article below every destinations. Some of you will prefer the "Road Trip" understand trip by car. For my part, I,ve been using public transport for travel and I will probably recommend you to travel by buses. That will be the best way to respect your budget, save your time and for been more organize. Most of the places where you will stay on the Autralian East Coast are cities and towns. Avoid parking and paying campsites (if you find campaigns in the cities, which is not always easy). For the buses, you have two possibilities. You can travel with Greyhound or Premier which are the two Australian buses companies, they both stop in every city on the East Coast. Paying the bus one by one between each city will be much more expensive than the "pass" itself. The "pass" give you the opportunity to pay for all your travel in the specific area you want to discover. This "pass" is illimited, it means that you can travel how much as you want but it has to be in that specific area and you have to travel in one way. Ex: (Sydney Cairns Pass $ 445) or (Byron Bay Pass Cairns $ 365). The pass may be valid for a period of 3 to 6 months. One of the differences between Greyhound and Premier is the price. Greyhound is more expensive than Premier with the access of the wifi and they got more stops per day in each cities as Premier got just one stop per city and per day. Quel est le point de départ et d'arrivée ? Vous pouvez partir de Melbourne ou de Sydney jusqu'à Cairns. Pour ma part, je suis partie de Sydney. Vous pouvez faire votre trip aussi dans le sens inverse de Cairns jusqu'à Sydney ou Melbourne. Comptez entre 3 et 4 semaines. Il est bien entendu possible de voyager sur la Côte Est pour une durée plus courte, tout dépend de ce que vous voulez voir et de votre budget. Comptez un budget de 2500$ et 3000$ pour ce qui est des nuits en auberges de jeunesse et des activités (Sachez qu'il faut compter en moyenne 30$ par nuit et par personne en auberge de jeunesse sur toute la Côte Est). Les prix des différentes activités seront mentionnés au fur et à mesure dans l'article selon les destinations. Certains d'entre vous préféreront le "Road Trip" dit voyage en voiture. Pour ma part, j'ai utilisé les transports en commun et c'est probablement le bus que je vous recommanderai en temps que moyen de transport, pour une question de budget, de temps mais aussi d'organisation. La Côte Est Australienne est bordée de villes. Évitez donc les parkings et campings payants, (si vous trouvez des campings dans les villes), ce qui n'est pas toujours évident. En ce qui concerne les bus, vous avez deux possibilités. Vous pouvez voyager avec Greyhound ou Premier qui sont les deux compagnies de bus Australiennes s'arrêtent dans chaque ville de la Côte Est. Payer le bus un par un entre chaque villes vous reviendra beaucoup plus cher que le "pass" lui-même. Un "pass" consiste à prendre le bus dans un sens unique et dans la zone déterminée dans laquelle vous voyagez. Ex: (Pass de Sydney à Cairns 445$) ou (Pass de Byron Bay à Cairns 365$). Le pass peut être valable pendant une période de 3 à 6 mois. La différence entre Greyhound et Premier est le prix. Greyhound est plus cher que Premier dû à l'accès à la wifi et aux différents horaires de passage par jour dans chaque ville. Byron Bay was my first destination after Sydney. There are many other places to see between but Peterpans Adventure Travel agency, who I was working for at the time gave me only 3 weeks of free travel. So I decided to spend most of my time in the main places on the East Coast Australia during that 21 days of Holiday. I heard a lot about Byron Bay before really positive things and I wasn't desinpoted when I got there. Byron Bay is a small town with a Hippie vibe, close to the ocean and really famous for surfing. Over there you can find some really nice walks to the Light House with stunning beaches and really cool spots (witch are ideal for watching whales and dolphin during the winter season). The atmosphere in Byron is super relax and chilled, I love it. The Hostel where i was staying for 3 nights was called Nomads Byron Bay, it is one of the best Hostel and recommend by Peterpans. The hostel is literally located in the main street of Byron Bay. All the streets have a lot of really nice cafe and restaurants as Bayleaf Café. Also, there are many Fashion retail stores and decoration shops with dream catchers, driftwoods and shells to keep the beach theme throughout the town. Byron Bay était ma première destination après Sydney. Il y a un certain nombre d'endroits à visiter entre Sydney et Byron Bay mais l'agence pour laquelle je travaillais Peterpans, m'a accordé 3 semaines de voyage seulement tout compris. J'ai donc décidé de privilégier les principaux endroits de la Côte Est durant ces 21 jours de vacances. J'ai entendu beaucoup de bien à propos de Byron Bay avant de m'y rendre. Et je n'est pas été déçue. 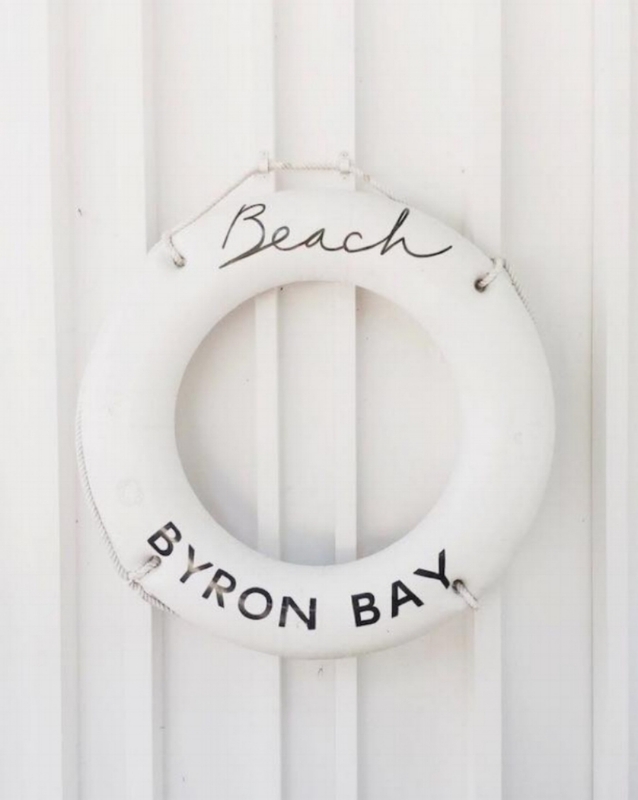 Byron Bay offre un style Hippie Chic dans toute ca splendeur, c'est un petit village en bord de mer très connu pour ses spots de surf avec des plages sublimes, des promenades tout le long de la côte jusqu'à la Light House avec vue sur l'océan (idéal en hiver pour y apercevoir des dauphins et des baleines). Le village en lui-même possède une atmosphère très relaxante et décontractée. L'auberge de jeunesse dans laquelle j'ai séjourné pendant 3 nuits s'appelle Nomads Byron Bay, l'une des meilleures auberges recommandée par l'agence Peterpans. Nomads est situé au cœur du village Hippie, dans la rue principale. 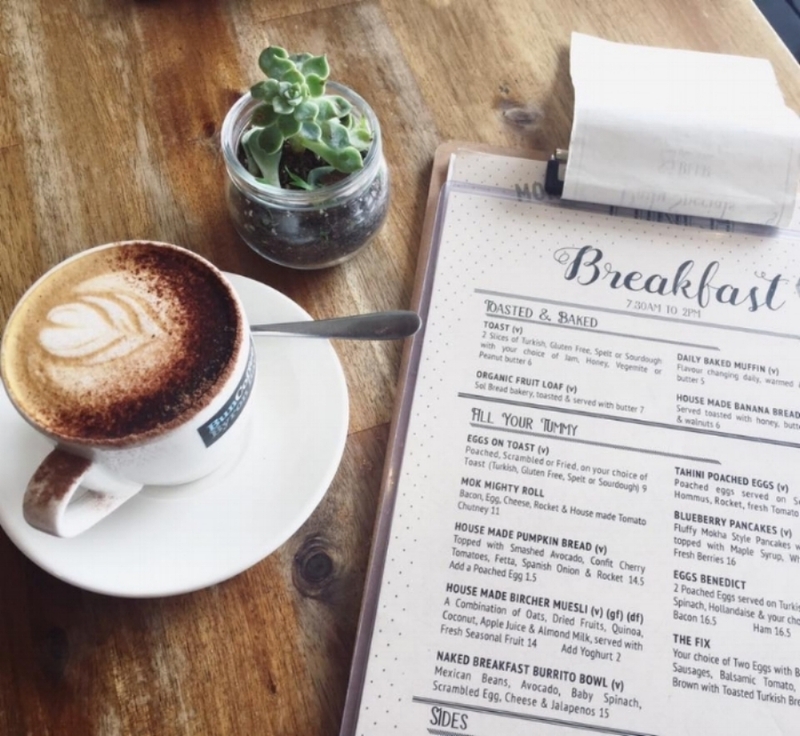 Les rues sont bordées de superbes cafés restaurants tel que Bayleaf Cafe. Mais aussi de magasins de décoration ou on y retrouve du bois flotté, des attrapes rêves et coquillages (tout ce que j'aime). I felt a lot of love in this place. Noosa is probably the place that I liked the most on the East Coast. Noosa and Byron Bay are very similar but Noosa feels more like a family holiday destination. There are also a lot of beautiful walks between ocean and forest in its national park, the walks are quite long but well worth doing as the views are amazing. there are many trail routes you can take, I can't even remember if I done all of them myself as there was so much to explore. The Noosa National Park is full of secret beaches and theres a great spot for seeing whales and dolphins they swim passed, also on the walk you may see some koalas hiding high in the canopy of the eucalyptus trees. My favorite place was the Fairy Pool which is a natural rock pool on a peninsula surrounded by beautiful views. There is only two Everglades in the world, there is on in Florida and the other one is in Noosa. I had the opportunity to see it and to do some kayaking other there with the Discovery Group, this is un tour recommend by Peterpans. The pick up was in the morning just next to the bus station of the village, we took a small but who drove us to the boat. During the morning we were visiting the Everglades by boat. J'y ai trouvé l'amour et je suis tombée amoureuse de cette ville. Noosa est probablement l'endroit que j'affectionne le plus sur la Côte Est. Noosa et Byron Bay sont assez similaires. On y retrouve une ambiance plus balnéaire que Hippie dans ce village. Avec de nombreuse marches sur la côte, entre mer et forêt, sauf que cette fois-ci la marche à faire est immense. Je ne peux même pas confirmer si je l'ai faite en entière. Il s'agit plus d'un parc national que d'une marche. The Noosa Nationale Park donne accès à de nombreuses plages plus belles les unes que les autres, de merveilleux spots pour observer les baleines et les dauphins, mais aussi des balades en forêt d'eucalyptus où on peut y apercevoir des koalas avec un peu de chance. Mon endroit préféré était les Fairy Pool, piscines naturelles créées par la roche située en bord de mer. Il n'y a que deux Everglades dans le monde entier, un en Floride et un à Noosa en Australie. Et j'ai eu la chance de faire du canoe kayak sur les Everglades de Noosa avec le Discovery Group, tour recommandé par Peterpans. La réception se fait en bus à la station de la ville et vous conduit sur les quais. Le tour se fait en bateau et une séance de kayak d'une heure est effectuée tout le long des Everglades. After tree beautiful days in Noosa, I went to one of the most popular destinations on the East Cost. 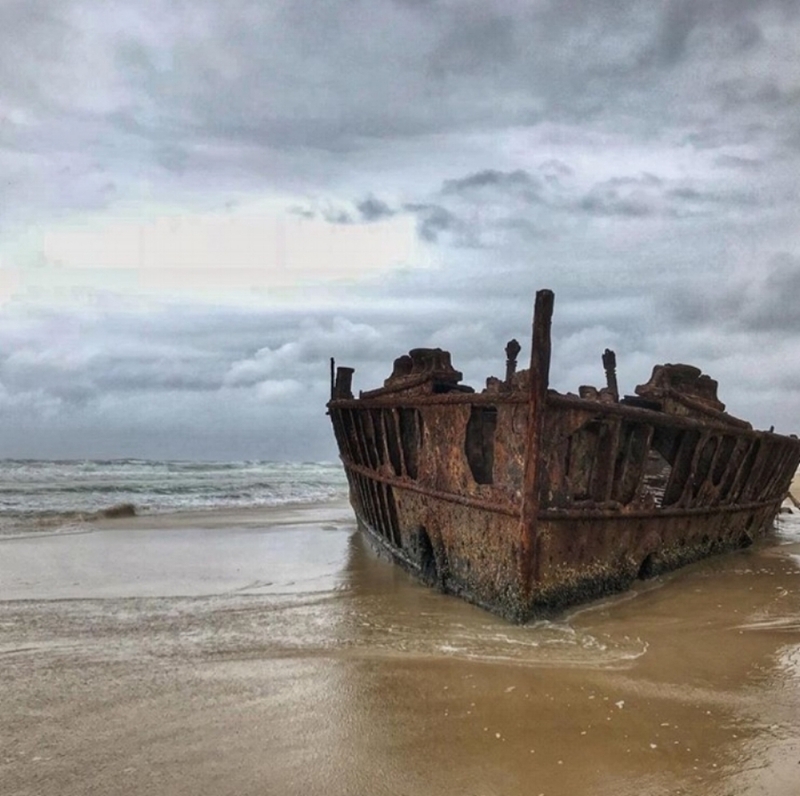 Fraser Island is the biggest sand island in Australia. I discovered the Island with Dingos Tour in tree days and two nights. First, I took a bus to Rainbow Beach and I was stay in the hostel that the tour tour own for one night include in the package. The day after I had a free breakfast and we drove to the ferry. The tour is very simple, we had at our disposal four 4x4 that we could drive ourselves on the island. The morning before the big departure we had to put our stuff in the cars (for the time of three days), for my part I took only one backpack and I left the rest of my business to the hostel. We could bring back our own alcohol and all meals were included in the tour. Once the teams were formed, we drove 15 minutes to get to the island access by ferry. Once arrived on the island I began to contemplate the magnificent landscape that was offered to us. Miles and miles of sand with the ocean as far as the eye can see. 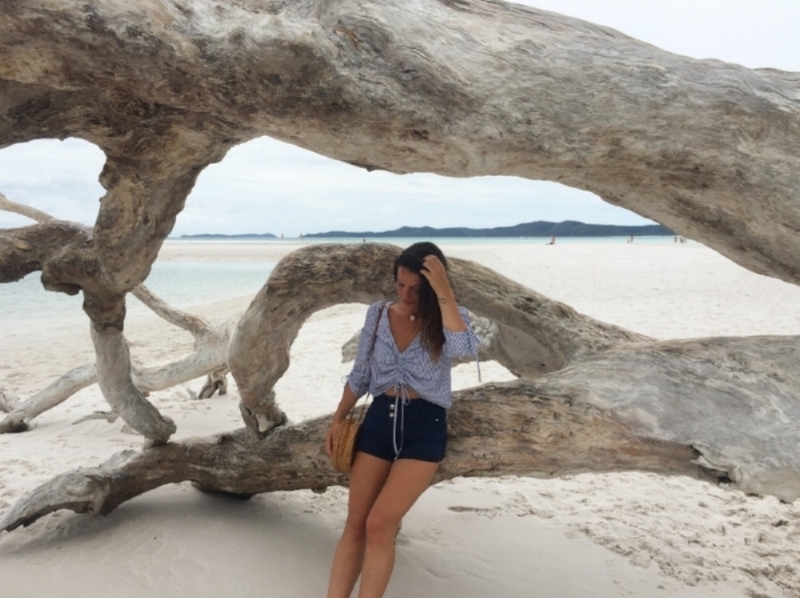 We drove to Lake Mckenzie which is for me the most beautiful place on Fraser Island. Unfortunately once arrived there I quickly realized that the weather was not going to be with us. In spite of this bad weather, the different places of the island remain sublime as evidenced by the photos. Après trois magnifiques jours sur Noosa je suis partie pour une des destinations les plus populaires de la Côte Est "Fraser Island" qui est la plus grande île de sable de l'Australie. J'ai parcouru l’île avec le tour Dingos qui offre 3 jours et 2 nuits de camping sur l’île (mais un camping de luxe, ce qui m'a vraiment changé de mes campings passés). Tout d'abord le bus m'avait déposé à Rainbow Beach où j'ai dormi une nuit à l'auberge de jeunesse, cette nuit était comprise dans le package avec le tour. Le lendemain j'ai eu le droit à un petit déjeuné offert par l'auberge, et nous sommes parti en direction de l’île. Le tour est très simple, nous avions à notre disposition quatre 4x4 que nous pouvions conduire nous même sur l'île. Le matin avant le grand départ nous devions mettre nos affaires dans les voitures (pour le temps de trois jours). Pour ma part je n'ai pris qu'un sac à dos et j'ai laissé le reste de mes affaires à l'auberge. Nous pouvions ramener notre propre alcool et tous les repas étaient compris dans le tour. Une fois les équipes formées nous avons conduit le temps de 15 minutes pour arriver à l'accès de l’île qui se fait en ferry. Une fois arrivé sur l'île je me suis mise à contempler le magnifique paysage qui s'offrait à nous. Des kilomètres et des kilomètres de sable avec l'océan à perte de vue. Nous avons conduit jusqu'au Lake Mckenzie qui est pour moi l'endroit le plus sublime de Fraser Island. Malheureusement une fois arrivé là-bas je me suis vite rendue compte que la météo n'allait pas être avec nous. Malgré ce mauvais temps, les différents endroits de l’île restaient sublimes comme en témoignent les photos. After staying at Rainbow Beach I had to take a bus (night bus) to Airlie Beach to visit the Whitsundays. The Whitsundays are islands around Airlie Beach composed of 74 islands in total, close to the Great Barrier Reef. I stayed on Airlie Beach for 4 days, I was able to visit the main islands for two days and two nights with the Ride to Paradise Tour. The tour is by boat around the Whitsundays, where you can snorkel and stop on the beautiful beaches around Whitsundays like White Haven Beach. For the two nights included in the tour, I slept at Paradise Cove Resort, a beautiful private villa located on one of the islands. (see Article). After doing the Whitsundays, I came back to Airlie Beach for a day. During this day I realized one of my dreams, to see the Whitsundays and the Great Barrier Reef from the sky. So I attended a 1-hour tour of the Whitsundays, the Great Barrier Reef and the Reef Heart with GSL Aviator. Après mon séjour sur Rainbow Beach j'ai dû prendre le bus (un bus de nuit) en direction de Airlie Beach pour visiter les Whitsundays. Les Whitsundays sont des îles autour de Airlie Beach composées de 74 îles au total, proches de la Grande Barrière de Corail. Je suis restée sur Airlie Beach le temps de 4 jours, j'ai pu visiter les principales îles le temps de deux jours et deux nuits avec le tour Ride to Paradise. Le tour se fait en bateau autour des Whitsundays, certaines activités de snorkeling sont proposées ainsi que la visite des magnifiques plages autour des Whitsundays comme White Haven Beach. Pour les deux nuits comprises dans le tour, j'ai dormi à Paradise Cove Resort, une magnifique villa privée située sur une des îles. (voir Article). Après avoir fait les Whitsundays, je suis revenue sur Airlie Beach le temps d'une journée. Durant cette journée j'ai réalisé un de mes rêves, voir les Whitsundays et la Grande barrière de Corail vue du ciel. J'ai donc assisté à un tour en avion qui a duré 1 heure (assise coté pilote), autour des Whitsundays, de la Grande Barriere de Corail et du Reef Heart avec GSL Aviator. Magnetic Island has been for me a serene and peaceful place. I stopped there for 2 days. From the first day I noticed the remarkable kindness of the people living on this island. When I arrived in Townsville, I had to take the ferry to Magnetic Island. Once arrived I had to wait for the bus that was supposed to arrive 2 hours later. An Australian couple kindly offered to drive me to my accommodation at Base Magnetic Island, the best hostel on the island. Once arrived, I was entitled to a welcome cocktail and I went to Arcadia to see the Wallabies. The next day, I spent a whole day walking to explore the place. I stopped on one of the most beautiful beaches, Balding Bay. It's a beautiful little private beach, what I did not know is that this beach was a nudist beach. There, I met an Australian who was probably the same age as my grandfather. Being local and seeing that I was traveling alone, it was proposed to show me the most beautiful places on the island. Despite the fact that he was completely naked and that the situation was unusual, I accepted and spent a good part of the afternoon with him. He brought me to beautiful places that I would never have found on my own and I would remember that day for a very long time. Thanks to him for the photos taken on the beach. Magnetic Island a été pour moi un endroit serein et paisible. Je m'y suis arrêtée le temps de 2 jours. Dès le premier jour j'ai constaté la remarquable gentillesse des personnes vivants sur cette île. Lors de mon arrivée à Townsville, j'ai du prendre le ferry en direction de Magnetic Island. Une fois arrivée je devais attendre le bus qui était censé arriver 2h plus tard. Un couple Australien m'a gentillement proposé de me conduire jusqu'à mon hébergement à Base Magnetic Island, la meilleure auberge de jeunesse sur l'île. Une fois arrivée, j'ai eu le droit à un cocktail de bienvenue et je suis partie en direction de Arcadia pour aller voir les Wallabies. Le jour suivant, je me suis accordée une journée entière de marche afin d'explorer les lieux. Je me suis arrêtée sur l'une des plus belles plages, Balding Bay. C'est une magnifique petite plage privée, ce que je ne savais pas, c'est que cette plage était une plage nudiste. Là-bas, j'ai rencontré un australien qui avait probablement le même âge que mon grand-père. Etant local et voyant que je voyageais seule, il s'était proposé de me montrer les plus beaux endroits de l'île. Malgré le fait qu'il était complètement nu et que la situation était peu ordinaire, j'ai accepté et passé une bonne partie de l'après midi avec lui. Il m'a amené vers des endroits magnifiques que je n'aurai jamais pu trouver par moi-même et je me souviendrai de cette journée pendant très longtemps. Merci à lui pour les photos prises sur la plage. Cairns is a city completely different from all the others we can not find on the east coast. The atmosphere is tropical, filled with rainforests and waterfalls. The main reason people travel to Cairns is to see the Great Barrier Reef. To be honest, I was fortunate enough to see it twice and at 2 different places (in Airlie Beach and Cairns). Lord of my stop on Cairns, I did a helicopter tour and dive with the Magic Boat Tour. I personally find that the Barrier Reef is much more spectacular on Airlie Beach - the Whitsundays. 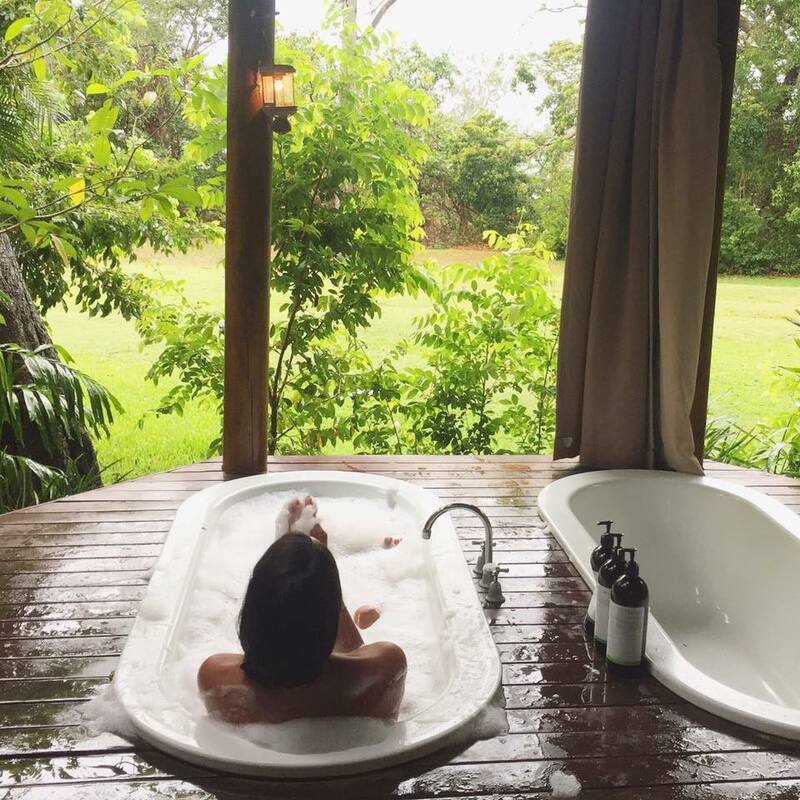 But Cairns remains a very nice place to spend holidays and explore the different tropical forests in the area like Kuranda, Dantree National Park or Cape Tribulation. Cairns est une ville complètement différente de toutes les autres que l'on peut retrouver sur la Côte Est. L'atmosphère est tropicale, rempli de rainforests et waterfalls. La raison principale pour laquelle les gens voyagent sur Cairns est pour y voir la Grande Barrière de Corail. Pour être honnête, j'ai eu la chance moi-même de la voir 2 fois et à 2 endroits différents, (à Airlie Beach et à Cairns). Lord de mon arrêt sur Cairns, j'ai fais un tour d'hélicoptère et de la plongée avec le Magic Reef Tour. J'ai personnellement trouvé que la Barrière de Corail est beaucoup plus spectaculaire sur Airlie Beach - les Whitsundays. Mais Cairns reste un endroit très agréable pour y passer des vacances et explorer les différentes forêts tropicales dans les alentours comme Kuranda, Dantree National Park ou encore Cap Tribulation. When I was in Cairns, I did not go to Port Douglas for a day. Port Douglas is a town north east of Australia, an hour's drive from Cairns. I loved this place. There is a perfect contrast between beach, mountain and forest. Lors de mon séjour sur Cairns, je me suis rendue sur Port Douglas le temps d'une journée. 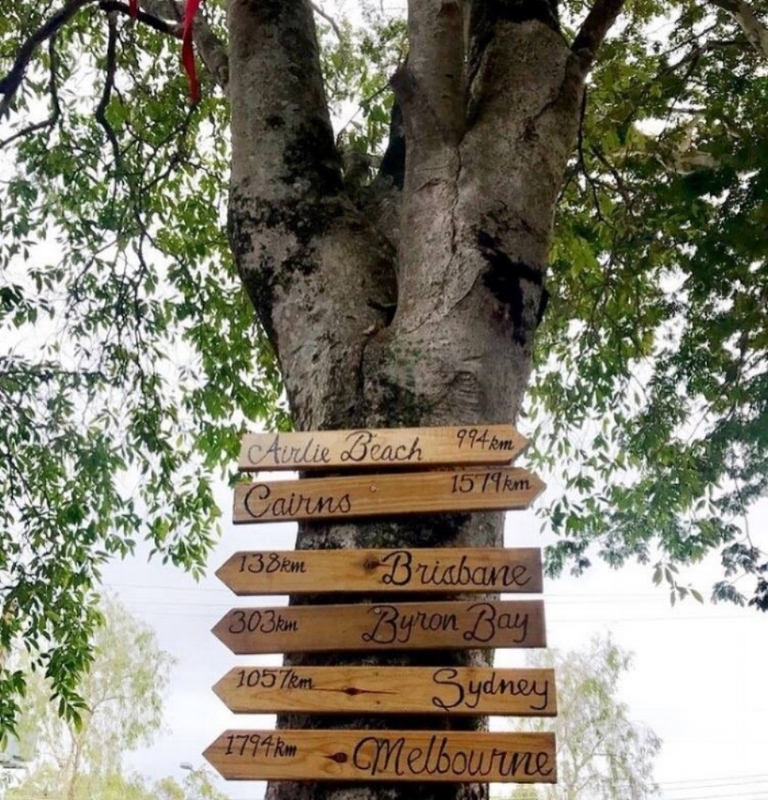 Port Douglas est une ville située au Nord Est de l'Australie à une heure de route après Cairns. J'ai adoré cet endroit. On y retrouve un contraste parfait entre plage, montagne et forêt. Your email address won't be posted.